I’m a big nerd. 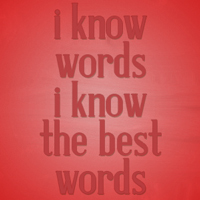 Or geek, depending on how you think of the terms. Sci-fi is definitely where I belong although you won’t find me at a convention or waiting in line to get an autograph. I prefer to nerd-out from home. That was my Christmas present to myself. I got it from othertees.com. Othertees is one of those sites where they offer an independently designed shirt for just two days. Once it’s gone, it’s gone (usually). 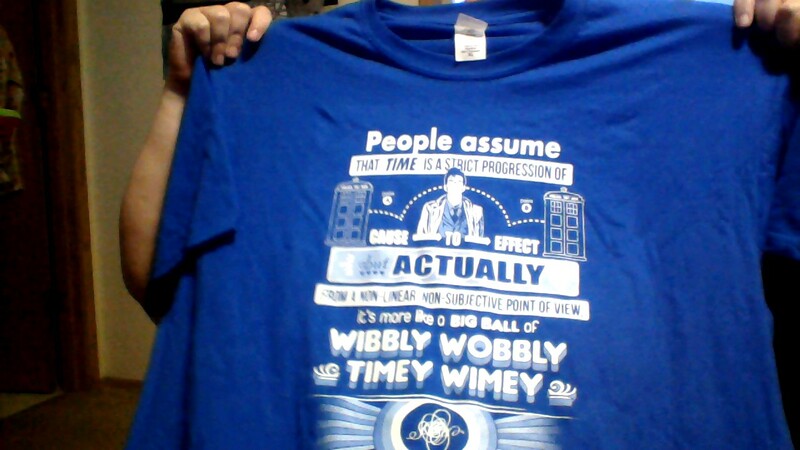 I saw this and just had to get it after watching the 50th anniversary special of Doctor Who. 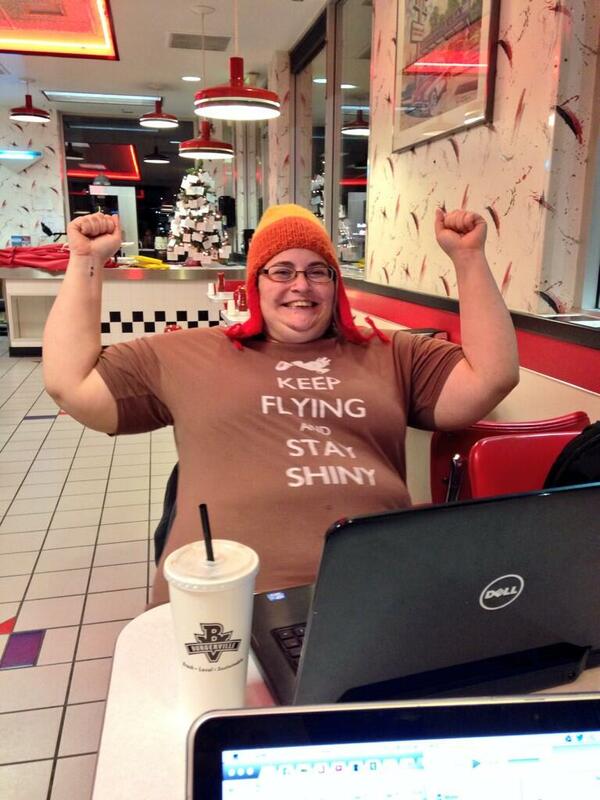 I’ve bought one other shirt there and I’m wearing it in this picture taken at 11pm on November 30th just after I won NaNoWriMo. The “Jayne” hat I made myself many years ago. Told you I was a nerd.